Ho Chi Minh City, Vietnam – The rising demand for rice in the Southeast Asian region puts mounting pressure on the rice value chain stakeholders, especially on smallholder farmers, to increase yield and improve farm productivity. With this in mind, the ASEAN Rice Future Forum, organized by Bayer CropScience, in partnership with the International Rice Research Institute (IRRI) and the Vietnam Ministry of Agricultural and Rural Development (MARD), brought together more than 100 policymakers and rice experts from across the ASEAN countries to discuss how public-private and value chain partnerships are essential in encouraging the adoption of farming technologies, and thus, improving food security. IRRI projects that the current rice production, which is more than 700 million tons annually, will not be sufficient to meet future demands. Over the next 10 years, rice production will need to increase by 80 million tons. 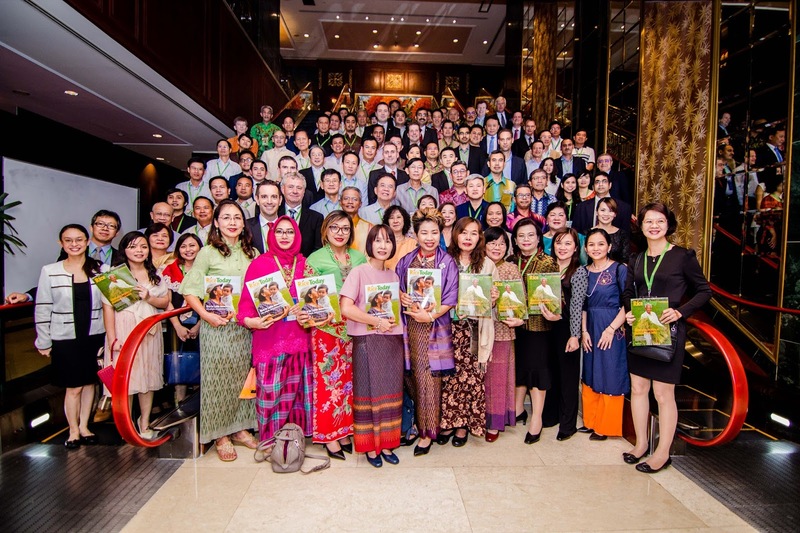 At the forum, Bas Bouman, director of the IRRI-led Global Rice Science Partnership, said that the challenges experienced by the rice-farming sector should be viewed as opportunities to channel impact in the right direction. “If we do it right, it will lead toward land consolidation, mechanization, and labor productivity increase. Farmers can have a decent income from farming while, at the same time, we can keep the price of rice affordable for the poorest consumers,” he explained. The forum, held on 14-16 October 2015, aims to continue the constructive dialogue that stemmed from the 2013 Rice Future Forum in India and the 2014 International Rice Congress in Thailand. MARD Deputy Minister Le Quoc Doanh said that collaborative efforts and partnerships formed by the Vietnamese government have helped advance the rice sector in the country. Sascha Israel, Head of Bayer CropScience in the Asia Pacific Region, emphasized the importance of collaboration between public and private sectors across the value chain to enhance rice technology adoption. Speaking on the economic transition and demographic changes in the ASEAN region, Sam Mohanty, IRRI Social Sciences Division head, said that IRRI has a significant role to play in shaping the future of the rice value chain. “IRRI’s breeding program will be more demand-driven; we understand what is needed in the value chain, so we can produce the variety or management practice that suits the market,” he added. “Engaging with the public and private sectors can bring energy, know-how, and financing. It could help us better leverage the technologies that IRRI has in the marketplace for the benefit of smallholder farmers and the entire rice ecosystem,” said Remy Bitoun, IRRI's head of Public-Private Engagement. 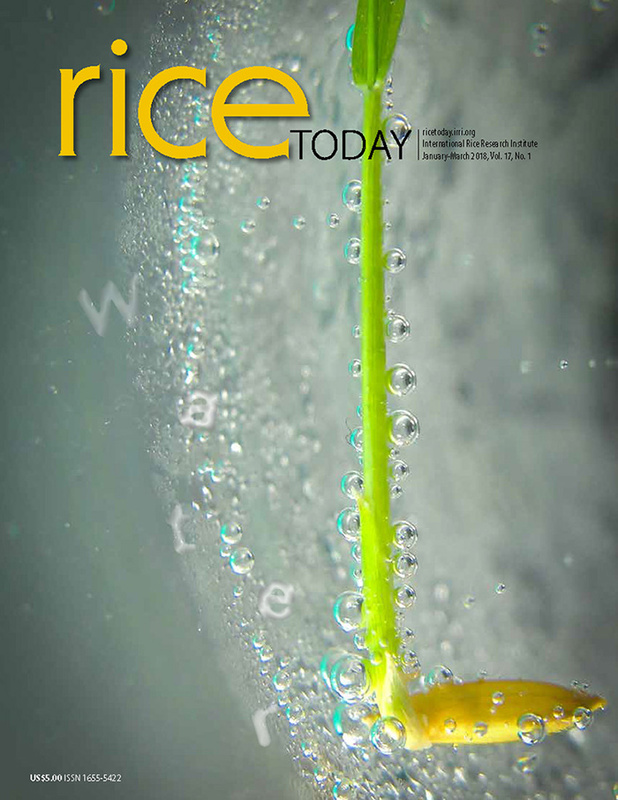 The institute featured its work on rice innovations during the marketplace session while engaging with various government officials, media, and private companies from across the Southeast Asian region. Aside from the forum, Bayer CropScience also organized a trip to its various field demonstration sites outside Ho Chi Minh City.